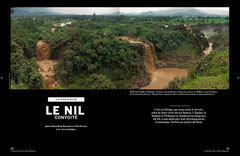 Nile and Colorado in Le Monde - jeroenkuipers page! We absolutely love your blog and find many of your post's to be just what I'm looking for. Do you offer guest writers to write content in your case? I wouldn't mind creating a post or elaborating on a number of the subjects you write about here. Again, awesome site!